Integrins are receptor proteins responsible for mechanosensing of tissue stiffness during scarring (fibrosis) in response to injury. Fibrosis in the liver leads to the development of cirrhosis which can progress to cancer, a major cause of mortality. Integrin avα1 is significantly elevated in chronic liver disease and administration of an inhibitor compound shows promise in reducing in fibrosis in a fibrotic mouse model. 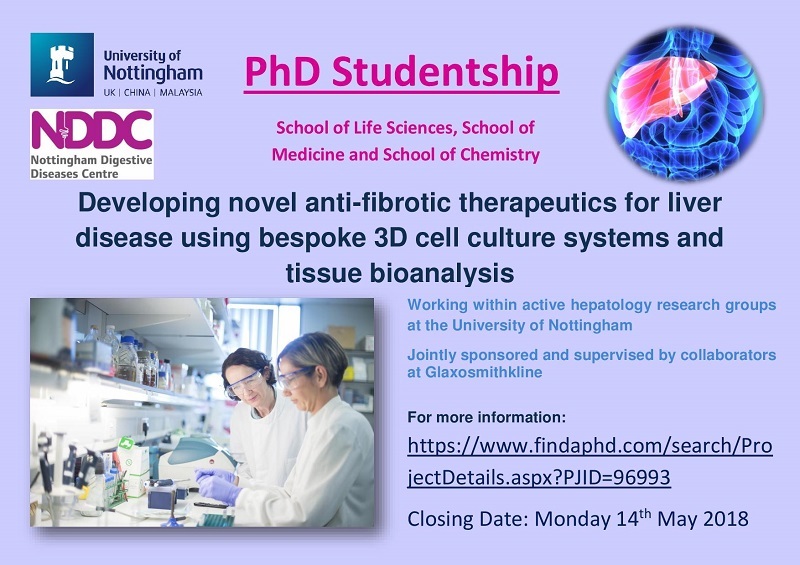 This project will provide much-needed information about role of integrins in the process of fibrosis underlying the development of chronic liver disease which is a major global public health challenge. It will also establish integrins as a valid therapeutic target and analyse novel integrin inhibitors with potential to reverse fibrosis.